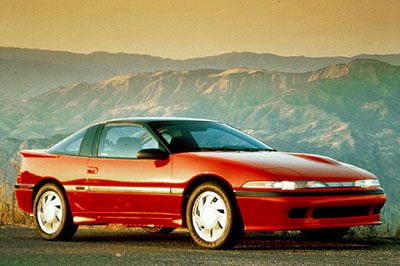 Have you driven a 1990 Mitsubishi Eclipse? Displaying 1 - 10 of 16 1990 Mitsubishi Eclipse reviews. Classic Little Rocket. — This cars styling never gets old. The built in spoiler/hatchback make it fun and practical. This is a well built car that will last for a long time when taken care of. Acceleration, braking, and handling are all excellent. Once you hit 3000 RPM's then the turbo kicks in hang on. Pros: Fast. Fun to drive. Cons: Rear seat leg room. Wouldn't Drive Anything Else — It accelerates... brakes well... handles like a go-kar... terrible gas mileage... a joy to drive really. 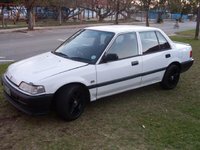 Can't wait for the new engine to go in :D white leather interior, needs reupholstered :( looks pretty good for a 21 year old car. Best Bang For Your Buck — Performance on this car is amazing the acceleration and AWD is awesome it handles corners like a champ the one thing i wish it had was ABS but its not really a problem. 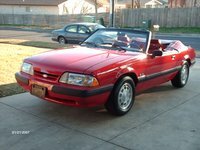 The build quality is alright i have not had to do many repairs and it does have squeaks and a few rattles here and their but its a 20 year old car. I absolutely love the appearance inside and outside. Its not too much money to own the car im just happy the gas prices went down i had to stop driving it when the prices were over 4 bucks a gallon and the fun factor of the car is amazing its so much to drive every person i let drives it loves it. If You Have The Time And Money To Upkeep It, It Is A Great Car. — This is a DSM, you have to take the good with the bad. It was a quick car and a fun car. The downside was that it was very involved with the upkeep, there was always something to work on/fix. My particular car happened to break the day I got it (the clutch spring broke out of the disc and had a party on my flywheel), due to the previous owner's improper reinstallation of the transmission/clutch. Pros: Fast, full of potential, relatively inexpensive. Cons: Prone to mechanical problems. 4 Cylinders, 3 Diamonds, 2 Liters, 1 Big Turbo — I love dsm's...I've had every model DSM and i love em all! 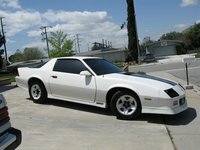 Very easy to make go fast and will last forever...A blast to drive and I will own them forever! Only let me down a few times! Cons: You will get beat! Fast And Fun To Drive — Best DSM I have ever owned, It ripped pretty good and broke the least. The car lasted to about 180k miles on the original and that was with me beating on it all the time. I wish I would have never sold the car. 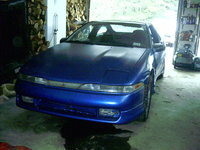 I Miss This Car, It Was Amazing. If I Could Get It Back I Would In A Second. — This was an awesome car, it had incredible acceleration and handling for the price. I could get this car to accelerate up to 80 mph up a freeway on ramp, and not even chirp the tires around the turn (this was a 25 mph recommended turn). Quite a fast little car. My Other Baby, Heh. — My beater rust bucket. I drive this one for winter, and really don't have any plans to make this a power house. It'll just get me from A to B during the winter months, or whenever the other one breaks down!